Diabetes is a very serious issue – and not just in people either. That’s right, this chronic and potentially debilitating condition also affects cats (and dogs). And while it’s difficult to know the exact incidence of diabetes in cats, best estimates put it somewhere in the range of 1 cat in every 100-200 cats will become diabetic. What’s even sadder is that this incidence seems to be on the increase. Fortunately, armed with some good information, important tips, and a good working relationship with your veterinarian, you can give your cats the best chance at avoiding this frustrating condition. And if they’ve already developed it, know that these same tools can help you best manage your cat’s diabetic state; avoiding the potential complications and perhaps even getting them into diabetic remission. In the most basic sense, diabetes mellitus is a disorder where blood sugar, or glucose, cannot be effectively utilized and regulated within the body. There are several hormones within the body that play important roles in glucose metabolism. 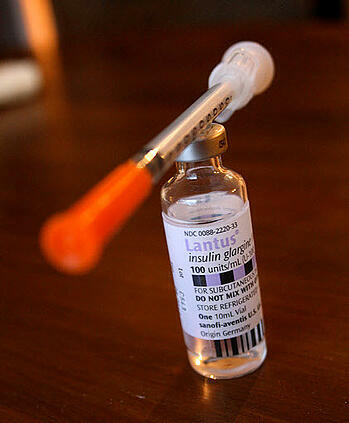 Insulin is one of the most important, if not the most important, and it’s the hormone most central to the development and control of the diabetic state. Glucose fuels the body and insulin is the hormone that helps to get it into most cells within the body. Diabetes is often easily diagnosed and controllable. However, when undiagnosed or poorly managed, diabetes can be devastating. Diabetes can absolutely be managed and your cat can still lead a long and happy life. Routine veterinary care and evaluation are important, as is achieving and maintaining an appropriate weight in your cat and feeding him an appropriate diet. There are two types of diabetes – Type I and Type II. In Type I diabetes, the pancreas does not produce or release enough insulin within the body. In Type II diabetes, while there may be enough insulin available in the body, the cells of the body don’t respond well to it. The end result in either scenario is a defect in glucose metabolism within the body, and all the implications that can have. Diabetes, and Type II diabetes specifically, is a very common disorder in cats. The condition is most common in overweight, neutered male cats over 8 years of age, and those that exclusively eat a high carbohydrate diet (which includes pretty much any diet of dry cat food). Additionally, Burmese cats seem to also be at a higher overall risk. Although the actual diagnosis of diabetes requires a thorough physical exam and laboratory testing of both blood and urine by your veterinarian, there are certain signs that you might notice at home that could indicate the presence of a problem. None of the clinical signs listed below are specific to diabetes, but instead could indicate one of several common disorders of cats. So regardless, if you notice these signs, don’t hesitate to take your cat to the vet for evaluation – ideally sooner, rather than later. 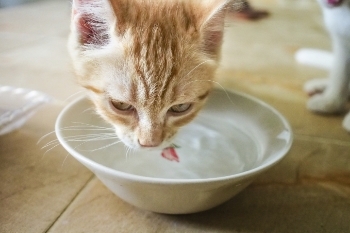 Excessive thirst (polydipsia): Many owners report their cat drinking from the dog’s water bowl, or the sink, bathtub, or toilet. This sign could also indicate kidney disease, certain liver disorders, and certain other hormonal disorders, amongst other conditions. Excessive urination (polyuria): Often the first indication that a cat is urinating excessively is that there are more and larger clumps of urine in the litter box, or urine spots outside the litter box. It is important that cats with excessive urination be evaluated by a veterinarian to determine the underlying cause. Increased appetite (polyphagia) often accompanied by weight loss: Many diabetic cats have a ravenous appetite, often pestering their owners for more food after clearing out their bowl. What many owners may not immediately realize, especially if their cat has long fur, is that in spite of their cat’s limitless appetite, they are actually losing weight. This is very dangerous regardless of the cause, so if you are noticing this sign, have your cat evaluated by your veterinarian sooner rather than later. Generally speaking, the likelihood of these aforementioned signs indicating diabetes in your cat is increased if your cat is overweight/obese (or ‘big-boned’ or whatever else some people may call it to avoid the problem) and eating predominantly or exclusively a dry food diet. Such cats are often referred to as ‘pre-diabetic’ in many veterinary circles. These cats are just waiting for an excuse – illness, medication, or stress – to push them over the line into full-blown diabetes. Walking flat on the back of the hind legs: Veterinarians refer to this as a ‘plantigrade stance’ or ‘dropped in the hocks.’ This is the result of damage and dysfunction to the nerves that feed into the back legs. This is typically obvious when you view your cat from the side. Normally in cats, the point at the back of the cat’s hind leg is off the ground when they walk. In cats with a plantigrade stance, they walk with it in contact with the ground. Lost interest in or the ability to jump: This can sometimes be a very subtle sign, but those in tune with their cat’s activity level may notice their cats lying low more often. Vomiting, lethargy, and lack of appetite: These are very late signs of diabetes. When these signs occur, the health of the cat is in the most jeopardy. Diabetes is often easily diagnosed and controllable. However, when undiagnosed or poorly managed, diabetes can be devastating and lead to a variety of debilitating, expensive, and potentially fatal conditions. Some of these conditions are outlined below. 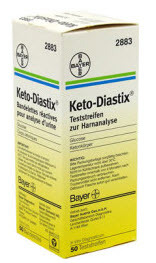 Diabetic ketoacidosis (DKA): A common complication that results from the diabetic animal’s body having to rely too long on burning fats for energy, rather than the glucose that the cells require. The body can only do this so long and when that time period expires, the changes are so severe as to prevent normal body function. DKA is a dire metabolic pet emergency and treatment is best achieved at a 24-hour pet ER with true ICU capabilities and around-the-clock care. Hyperglycemic Hyperosmolar Nonketotic (HHNK) Syndrome: An uncommon complication of undiagnosed or unregulated diabetes, HHNK occurs when your cat’s blood sugar rises so high that urine is produced at a higher rate than the cat can drink water. This leads to a severe imbalance within the blood and other tissues of the body. As in the case with DKA, treatment for HHNK should happen with the involvement of a board-certified or residency-trained veterinary criticalist or internist at a 24-hour veterinary ER. Hypoglycemia: A relatively common emergency complication of diabetes in cats(and dogs), hypoglycemia literally means ‘low blood sugar.’ If your cat’s blood sugar drops below a certain level, they will suffer seizures. If not managed appropriately, seizures can lead to permanent brain damage, coma, and death. Hypoglycemia in diabetic animals typically results from one of two situations. The first is when the diabetic pet receives a double dose of their insulin – often one from each caregiver. The second common scenario is when the diabetic cat receives the correct dose of insulin, but other factors, such as the pet not eating their normal meal or another change in diet, creates an imbalance. The potential for hypoglycemia is the reason why every owner of a diabetic pet should have a bottle of Karo syrup on hand. Rubbing Karo syrup on the gums of a pet that is seizing because of hypoglycemia can help to halt the seizures while on the way to the veterinarian. Urinary tract infections: Because diabetic pets have glucose in their urine, they are at an increased risk of bacterial infections within their urinary tract. These infections can be difficult to get rid of and are likely to reoccur. This can create a vicious cycle, as infections anywhere in the body can make diabetes regulation more difficult, leading to more glucose in the urine and a greater risk for infection. If such infections affect the kidneys too, then acute kidney failure and long-term kidney damage can result. Be sure to have your diabetic pet’s urine checked for infections regularly with your veterinarian, as diabetic pets aren’t always “clinical” (ie showing signs of) their urinary tract infections.. Hypertension: Pets with diabetes are at an increased risk of developing high blood pressure (hypertension). This can lead to organ damage, including your cat’s brain, kidneys, and eyes. Have your veterinarian check your diabetic pet’s blood pressure regularly. Help your cats achieve and maintain an ideal body condition. This is more than just their weight, but also their muscle mass and body fat. Ask your veterinarian to help you assess your pet’s body condition. You can get a sense for it by looking at this Body Condition Score chart by Purina. Feed your kittens and cats a diet that more closely matches what their system has evolved to handle - this typically means a higher protein and lower carb canned diet. Long-term feeding of a high carbohydrate and protein-depleted diet, which describes almost all dry cat food diets, increases your cat’s risk for obesity and diabetes (and isn’t good for their kidneys and urinary tract health either). Provide your cat with playtime and sources of environmental enrichment to decrease their stress and keep their weight down. Regardless of your cat’s vaccine schedule, take them to your veterinarian for annual examinations and evaluations. A thorough physical examination can uncover the first, sometimes very subtle, signs of disease. Additionally, this is often the only time your cat gets weighed, and trends in their weight gain (or loss) can be an indicator of an underlying problem. Annual, and sometimes even twice-annual, veterinary examinations are key in the prevention of many pet diseases and emergencies. It can actually save you money in the long run too, as many diseases are less expensive to manage and regulate when they are caught early. Ask your veterinarian to perform regular routine blood and urine screening tests. Both blood AND urine are necessary to diagnose diabetes. Even if the results of such tests are normal, it will be money well spent. You will rule out diabetes as well as a whole host of other disorders, and you will be establishing your pet’s specific normal baseline results, which will be invaluable in the event of future problems. Be careful with the use of steroids (especially the long acting, or “depot,” injection preparations) in obese cats when treating other chronic conditions. Steroids are commonly used in the management of feline ‘asthma’ (also known as feline allergic bronchitis), inflammatory bowel disease, and chronic skin allergies. Glucocorticoids (steroids) decrease the effectiveness of insulin in your cat’s body, creating an insulin-resistant state and diabetes. Especially if your cat is overweight, thoroughly discuss the use and potential side effects of such medications with your veterinarian before their administration. When used appropriately and in the right circumstances, the glucocorticoids can be life-saving and life-improving medications, but it is important to note that they are not without their risk for side effects. If you currently have a diabetic cat, don’t be alarmed. Diabetes can absolutely be managed and your cat can still lead a long and happy life. The following are some tips on how to manage your cat’s diabetes at home and in coordination with your veterinarian. Help your cat achieve and maintain an appropriate body condition. Keep a log book at home to note changes in your cat’s appetite, thirst, eliminations, and energy level. Use the book to record your cat’s insulin injections and their ‘urine dip’ and/or blood glucose monitoring results as well. Keep your cat’s diet consistent, including food type, quantity of food, and timing of meals. This can help to ensure that their insulin requirements aren’t changing on a regular basis and can help with regulation. Communicate well with the other pet caretakers in your house to ensure that the correct dose of insulin is administered when it is due, and that you do not ‘double-dose’ your cat. Consider keeping a calendar near the fridge where the insulin is stored to mark off when injections are given. Appropriately store, handle, and rotate out your pet’s insulin. Obtain refills one to two weeks in advance of when you will need them to ensure that you always have your cat’s insulin on hand. Ensure that you always pair the correct size and type of insulin needle for the type of insulin you are using (U-40 vs U-100). Not doing so can lead to underdosing or overdosing. Neither is desirable, and the latter can prove fatal. Have Karo syrup on hand. Be sure that any pet sitter or kennel staff that you leave in charge of your diabetic cat’s care when you leave town is well versed in the management and complications of diabetes. You should download our Treatment Authorization form, sign it and give it to your cat sitter. It provides them with the ability to help your cat while you're out of town and not reachable, should a medical issue arise. Maintain a close working relationship with your veterinarian and their support staff. Be honest about your capabilities (both practical and financial). Stick with the recommended in-clinic monitoring plan discussed with your veterinarian. Ask the veterinary staff to show you how to monitor your cat’s ‘urine dips’ and/or blood sugars at home. Work with your veterinarian to ensure that your cat doesn’t have any underlying medical conditions or infections that can predispose your cat to diabetes or complicate its management. Talk with your veterinarian to ensure that your cat isn’t on any medications or supplements that can predispose them to diabetes, or make its management more difficult. In cases that are difficult to control, speak with your veterinarian about a referral to a local board-certified veterinary internal medicine specialist, who can often help. You can also locate these specialists by searching the American College of Veterinary Internal Medicine database. While diabetes in cats is common, it doesn’t have to be that way. There are many simple steps you can take to decrease your cat’s risk of developing diabetes, and achieving such prevention will save you a lot more than just money. Routine veterinary care and evaluation are important, but equally as important is achieving and maintaining an appropriate weight in your cat and feeding them a more ‘biologically appropriate’ diet. However, should your cat develop diabetes, or if they have already been diagnosed, know that it does not need to be a death sentence. Many of the steps you can take to prevent this disease are also helpful in managing it, and your cat can still live a full, happy life.